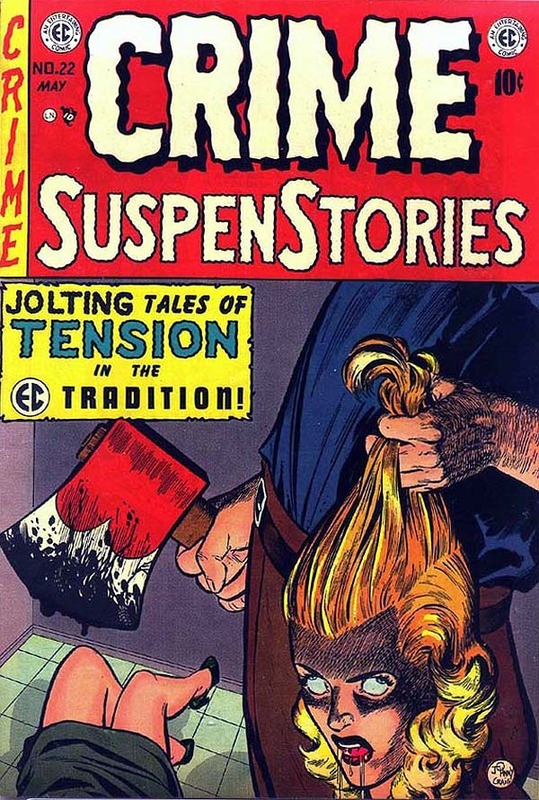 In the United States, the crisis over children's reading of crime and horror comics in particular, reaced itsapex with the Senate Subcommittee to Investigate Juvenile Delinquency's hearings into the effects of comics on young readers, which took place on April 21, 22, and June 4, 1954. These hearings were the culmination of a series of smaller public forums, held between November 1953 and March 1954. The final,315-page report gathered expert testimony and opinion from various stakeholders: letters and documents from psychiatrists both 'for' (Lauretta Bender) and, more prominently 'against' (Frederic Wertham) the comics; perspectives of store owners, educators, and parents; evidence and comments from a variety of publishing company executives; opinions of famous cartoonists (Walt Kelly of 'Pogo' fame); and a statement from E. Davie Fulton, the Canadian Member of Parliament and architect of the 'Fulton Bill' (see section 10.1). 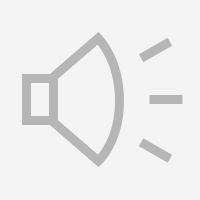 In total, over three dozen exhibits were included in the report that came out of the hearingsThe April Hearings were broadcast nationally by radio and, at least in part, on television. 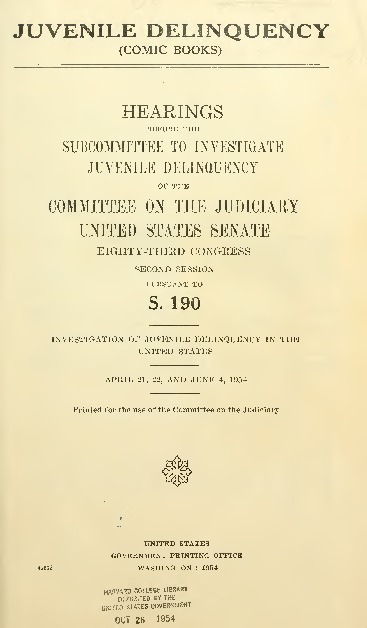 One of the key voices in the Committee's discussions was that of Richard Clendenen, the executive director of the larger Senate Subcommittee investigating Juvenile Delinquency. One of his tasks was to provide descriptions of particularly noxious crime and horror comics stories. Included in this testimony were descriptions of EC's infamous 'The Orphan' (see section 4.2) and another EC story from Haunt of Fear, which depicted an orphan boy being fattened up by his foster parents, who are actually vampires intent on drinking his blood. The boy, it turns out is actually a werewolf, who devours his foster parents in the end. These two stories about monstrous children are singled out as particularly "perturbing" from "a psychological point of view" (8). THe story of the orphan boy represented for Cleneden "the type of material that I myself would feel would greatly increase a youngster's feeling of insecurity, anxiety, and panic" (9). Later in the proceedings, William Gaines, the publisher of Entertaining Comics (EC), whose company published the two stories Clenenden described, was called to testify about the material that appeared in his titles. In his statement, he called into question what he regarded as the misguided motivations of the Subcommittee and of the entire anti-comics campaign, asking "What are we afraid of? Are we afraid of our own children? Do we forget that they are citizens, too, and entitled to select what to read or do?" He also tried to undermine the very premise of the campaign against his industry, that children are so naive and innocent that they can only immitate what they read: "We think our children are so evil, simple-minded, that it takes a storyof murder to set them to murder, a story of robbery to set them to robbery?" (98). In the end, however, his testimony was derailed when he was put in a position where he had to defend one of his comic book covers featuring a decapitated woman as being in "good taste. . . for a horror comic" (103).